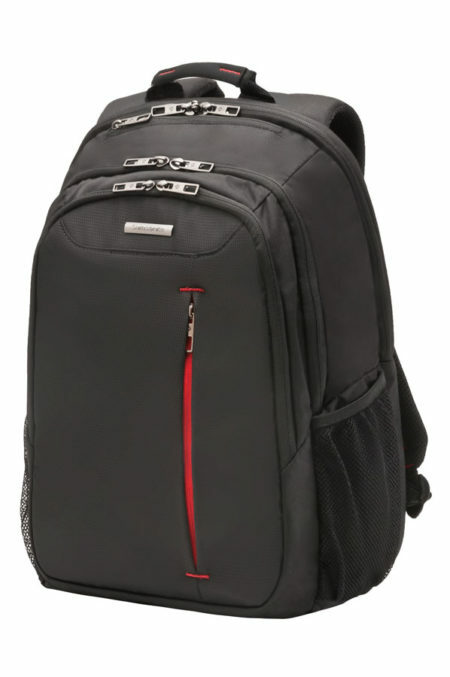 Padded, ergonomic, adjustable backpack straps for better mobility and comfort while travelling. One large vertical zipped front pocket, two elastic open mesh pockets on the sides and a zipped soft touch pocket for media player, sunglasses etc. Two external mesh bottle holders, one on each side. Padded laptop compartment, with integrated slip-in tablet pocket. Soft touch tablet compartment thanks to fleece interior. Integrated document compartment on the laptop compartment. With double pen loop and several open pockets for your mobile phone and personal accessories.